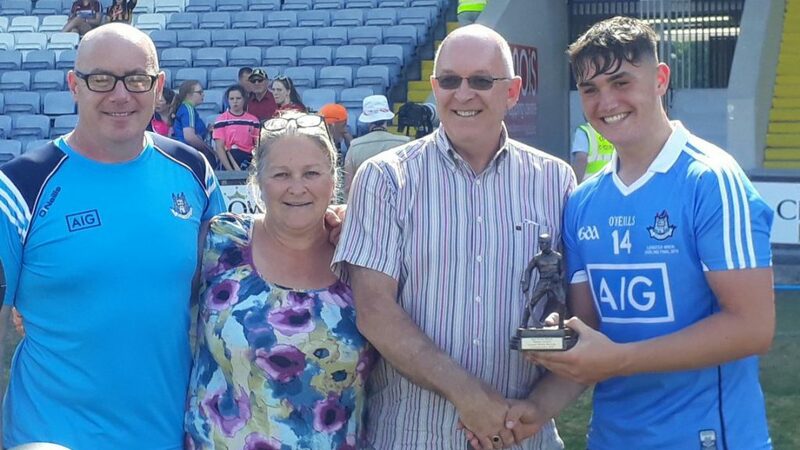 Kilkenny hit two goals early in the game, and another two just before the final whistle, but in between they were unable to curtail the superb Luke Swan and Liam Dunne on the full forward line for Dublin, who inspired their team-mates to a famous victory. Man of the match Swan and his able assistant Dunne hit a goal apiece immediately after the second half started which set them on the road to victory. Kilkenny had led at the interval by 4-8 to 3-10 after a helter-skelter opening 30 minutes played in sweltering heat. In a pulsating opening period, Kilkenny struck for early goals from George Murphy and Killian Hogan, as they quickly established a 2-3 to 0-2 lead. Soon, though, Dublin showed what they were capable of at the other end and raised green flags through Liam Dunne, Luke Swan and Conor Murray. There wasn’t even ten minutes played at this stage, and the excitement only increased with further Kilkenny goals from Cian Kenny and Cathal O’Leary as they regained the lead by half time. It all changed after the resumption, however, as two more Dublin goals gave them a lead they never relinquished. Dunne and Swan made no mistake in front of goals, although Kilkenny brought themselves back in contention when Conor Kelly drilled a shot to the net from over 20 metres. Now only one point separated the sides, but Swan completed his hat-trick to put Dublin in the driving seat again, and with Dunne firing over points, they stretched their advantage to seven points. In injury-time, Kilkenny brought their tally of goals to seven through Conor Kelly and Jack Buggy but it was too late to stop Dublin’s march to the title. Scorers for Dublin: Liam Dunne 2-8 (6fs, 165) Luke Swan 3-1, Conor Murray 1-2, Ciaran Foley, Dara Purcell 0-3 each, Donal Leavy, Pearce Christie 0-1 each. Scorers for Kilkenny: Conor Kelly 2-3 (3fs), Cathal O’Leary 1-2, Cian Kenny, George Murphy 1-1 each, Killian Hogan, Jack Buggy 1-0 each, Darragh Maher, Ciaran Brennan 0-2 each, Eoin Guilfoyle 0-1. DUBLIN: Jack Lambert; Kevin Byrne, Ciaran Hogan, Finn Murphy; Eoin Carney, Alex O’Neill, Iain O hEither; Donal Leavy, Darragh Power; Conor Murray, Pearce Christie, Ciaran Foley; Liam Dunne, Luke Swan, Dara Purcell. Subs: Colm Walsh for Hogan (20), Seamus Fenton for Murray (44), Aaron O’Toole for Christie (53). KILKENNY: Jason Brennan; Jamie Young, Padraig Dempsey, Jamie Harkin; Cillian Rudkins, Shane Staunton, Harry Walsh; Darragh Maher, Conor Kelly; Cathal O’Leary, Ciaran Brennan, Cian Kenny; Killian Hogan, George Murphy, Eoin Guilfoyle. Subs: Padraic Moylan for Walsh (31), Jack Buggy for Hogan (41), Jack Morrissey for Guilfoyle (46), Jack Doyle for O’Leary (52), Dylan Crehan for Harkin (60). Next ArticleHurling News Monday July 2nd.